If there is anything more talked about and least understood in the world of swimming pools, it is saltwater pools. 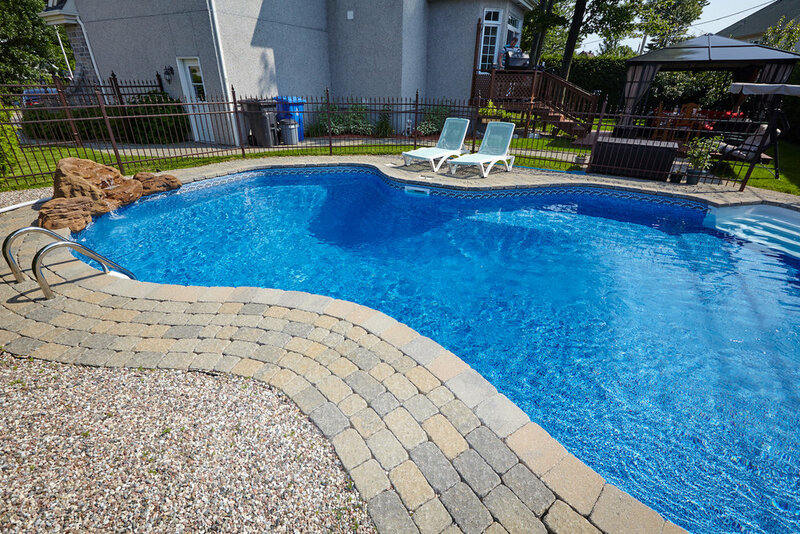 In fact, before we get into any advantages and disadvantages, let’s look at some of the misunderstandings that still might be out there about salt water swimming pools. In fact, you may be able to upgrade a freshwater pool to saltwater by replacing the chlorine dispenser with an electrolyte cell. And you would use the same pump, filter, and heater. Instead of using the chlorine from tablets or chemicals, salt water pools generate chlorine from the salt in the water. While there is more salt in a saltwater pool, the levels are at less than 10% that of sea water. In a properly balanced pool, you won’t be able to taste or smell salt. If you convert to saltwater, you will immediately notice that the water feels softer and less irritating on your skin eyes and swimwear. Installing a saltwater chlorine generator in a new pool installation will increase the costs of the installation. Of course, salt is the enemy of metal and there are a number of metal parts in your pool and pool equipment. But, you can install a sacrificial zinc anode to minimize and corrosion of your pool hardware. If you still can’t decide whether to install or convert to a saltwater pool, look for friends or family who have one and try it out for yourself. If you have any more questions, we’d be happy to answer them here at Aveco Pools.